Broker Academy Insurance rewards managers and partners with budget-friendly Spanish trip. The Brief: Insurance broker Academy Insurance traditionally runs an end of financial year trip for the senior managers at its ten offices, as well as its management board. The event is a reward to the team for their hard work, as well as their spouses and partners for putting up with late nights that the managers have to work on occasion. Academy Event organiser Joanna Amor, briefed travel organisers Premier Iberian to find a five-star golf and spa hotel within a three-hour flight from the UK. Challenges: The three-hour flight limit was an important consideration to prevent the long weekend becoming a chore for all concerned. "We have gone to Dubai in the past," says Amor, "but the flight time really eats into the weekend and limits the enjoyment." Another factor was keeping a lid on costs. The previous year's trip had ended up being considerably more expensive than originally budgeted once sundries were taken into account. "When the hotel is charging EUR6-7 for a poolside bottle of water, it's amazing how quickly the bill mounts up," she says. "This time we wanted to have a better idea of the final cost." Solution: Academy went to golf specialist Premier Iberian for help. 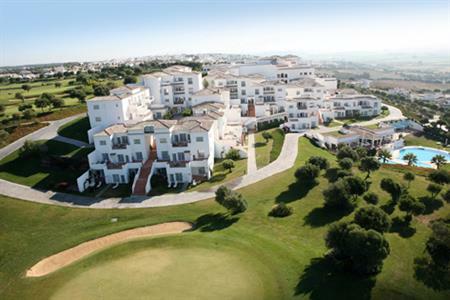 The company put forward three options and following a site visit to one of them by three of the directors, Academy opted for the Fairplay Golf Hotel & Spa in Benalup, near Cadiz. The venue provided an all-inclusive package so that the company was aware of all of its costs up front. Amor made individual travel arrangements for the managers, who flew from Gatwick to Gibraltar on low-cost flights. Execution: On arrival the group had lunch while the hotel checked them in. The guests then had free time until dinner that evening followed by drinks in the Boogie Bar. The following days allowed those who wanted to play to take to the Benalup Golf Course, which was judged suitable for the group's range of abilities. Non players were able to relax by the pool or indulge in treatments at the 2,000m2 spa. Meals were taken at the hotel given the all-inclusive nature of the deal. The group used all five of the restaurants that are available at the Fair Play. Verdict: Amor says that the trip was probably the best incentive Academy has run to date. "Golf is the main feature of the trip, and the all inclusive package made things so much easier for us," she says. "The hotel was extremely efficient and looked after us very well."